Why Vata Dosha Yoga Is Important During Pregnancy? Vata is an important factor of any body. It rules the brain which eventually controls the body movements and other activities. You can join one good prenatal vata dosha yoga class to ensure your mind and body functioning perfectly. Today we will learn about the significance of yoga poses for Vata dosha. Vata is an important factor of anybody. It rules the brain which eventually controls the body movements and other activities. 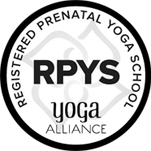 This post is actually about Vata yoga but it directly concerns prenatal. Read the first two lines and you will get the answer. How often some women felt low, anxiety, and emotional during the pregnancy? You really cannot do anything about it, they happen naturally. As probably their tendency is to be vaya type. But there are certain things that need to be in balance, like, proper blood circulation, waste elimination, breathing and positive thoughts. You can definitely manage them by following Yoga for Vata dosha. During pregnancy during second and third-trimester women gain weight, but still, there are so many women who start losing weight and their skin instead of glowing become dry and pale. To overcome this situation you must start doing Yoga. If you are one of these women then you need to focus on the following terms as are related with Vata like Prana, Udana, Samana, Apana, Vyana. You do not need to learn a lot about them, just their meaning and significance; also you can join one good prenatal Vata dosha yoga class to ensure your mind and body functioning perfectly. Where to join classes for yoga Vata dosha?